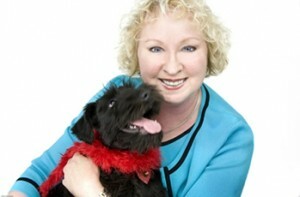 Val Heart, renowned animal communication expert, and Kathleen Prasad, president of Shelter Animal Reiki Association (SARA) and animal Reiki expert, will present a 75-minute teleclass entitled “3 Easy Ways to Improve Your Animal’s Health and Behavior” this Saturday, June 19th, 2010, at 11:30AM Eastern time. Tuition for the class is $20 half of which will be donated to SARA for their important work with shelter animals. This is a wonderful opportunity to hear two of the most important practitioners in the field of animal care. Val Heart is well known as an animal communicator, hosting “The Real Dr. Doolittle” podcast among her many other activities. Kathleen Prasad is a pioneer in the practice of Reiki with animals and is the co-author of “Animal Reiki: Using Energy To Heal The Animals In Your Life”. SARA is Kathleen’s latest project, the mission of which is to bring Reiki to animal shelters and refuges all over the world. Your registration includes a free download of Val’s podcast interview with Kathleen on “The Real Dr. Doolittle”. See you on the call!